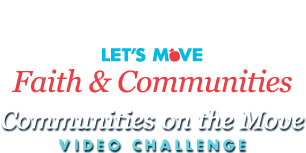 The Get Involved video highlights the Kalamazoo Junior Girls Organization’s campaign to educate young woman in the Kalamazoo, Michigan community about healthy eating, physical activity, and accessing healthy, affordable food. KJGO hosts, participates, and promotes events around the Kalamazoo Area to facilitate and encourage transitioning to a lifetime commitment of healthy living. Kalamazoo Junior Girls are one of Kalamazoo's treasures!